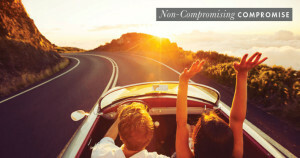 Inspiration for every couple to become closer, happier, and build a dream together. 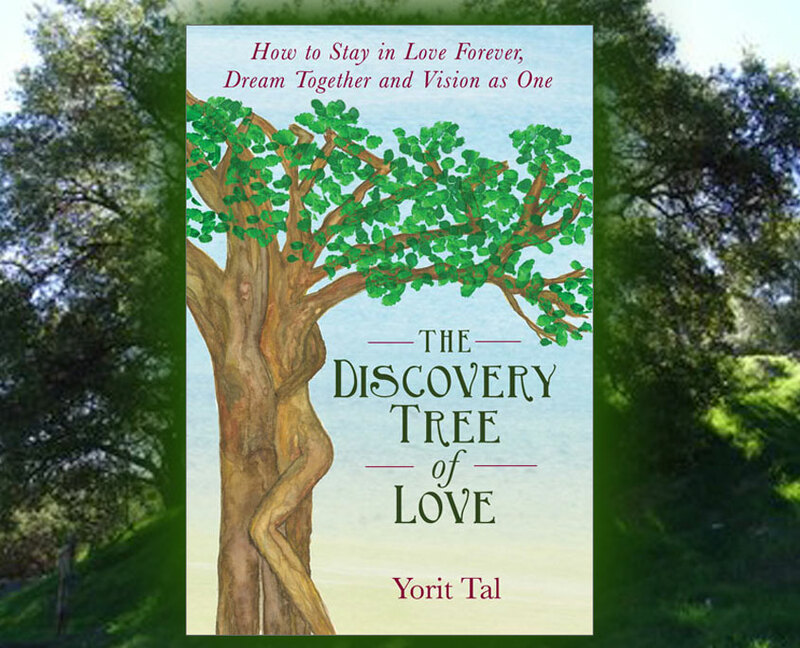 The Discovery Tree of Love represents your partnership in life. Like a tree, a loving partnership is one that breathes fresh air into you day after day. Your roots planted deep into the ground sustain you year after year. Based on her life experiences, Yorit Tal will show you how to make the seven branches of the Tree of Love sturdier and more resilient. Your relationship will rise to a new a new level of joy, passion and commitment. You will learn how to live together in more harmony and bliss than you ever imagined, co-creating the dreams of your life and the life of your dreams. Welcome to a new, exciting and fulfilling life for you and your partner. I want this book to change your lives and I invite you to come on a beautiful journey with me to accomplish that. This book is for couples who want to become closer and happier. My goal is to impart to you how to live together in more harmony and bliss than you ever imagined, co-creating the life of your dreams. I want to help you become soul mates in every sense of the term. When I say this book is for couples, I am being all-inclusive. Whether you’re married or domestic partners living together, you’re still a “couple” in terms of this book. You can be heterosexual, homosexual, or lesbian partners—my advice in this book is still the same. I will call you partners rather than spouses, since you may or may not be married—it doesn’t matter as long as you are committed to each other in heart. The amount of time you have been together is not a factor in being able to achieve the results and goals this book will teach you. You can be in relationship for only a few years, or you can have decades behind you—what I explain is equally useful. Your age also doesn’t matter to success after reading this book. Certainly there are differences between couples who met when they were young, such as in their 20s, versus people who coupled up when they were in their late 30s or 40s. There are also divorcees who are recoupling in their 50s and 60s. 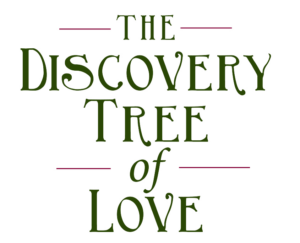 The Discovery Tree of Love is valuable and relevant to all of you, although I will occasionally point out some differences related to age and prior marriages. The most important relationship element that qualifies you for reading this book is your current degree of happiness together. I meet very few couples who say, without reservation, that they are as fully happy as my husband, Doron, and I have been for more than three decades of marriage. Even if you believe you are already happy to your heart’s content, this book may still be invaluable in helping you envision an even better life together. I can show you how to get even more bliss. But my honest sense is that if you are reading this, you fall into a different category. For you, there may be a feeling that your relationship is “pretty good,” but not as perfect as you want it to be. You might feel happy most of the time with your partner, but something gnaws away inside you. It’s goes unsaid that you and your partner have “issues” you could improve. If you’re in this category, this is the perfect book for you. Then there’s the category of couples who claim they are fine and don’t have any difficulties, but go home and find themselves arguing, yelling at each other, getting angry, or even going through occasional bouts of not talking to each other. When asked about their relationship, they still insist it is strong, even though one of them may secretly fantasize about divorce or splitting up. This book is absolutely for you, because it is time to admit that yours is not a healthy relationship. It is not okay to fight from time to time if you want to love each other deeply, live a more joyous life together, and accomplish your mutual dreams. If you are in this category, I believe this book will not only help restore your relationship, but take it to a stage of happiness that keeps you together for years to come. Whichever category you place yourself in, rest assured I have known couples like you—and my recommendations will help you climb to a new level of love, harmony, passion, and commitment. I have always felt close to nature. I love the feel of fresh air on my skin, the scent of moist soil, and the sense of strength and eternal life I get when looking at an old oak tree. For me, a relationship combines all of these elements into one. A loving partnership is one that breathes fresh air into you day after day. Its foundation is like moist nutrient-rich soil that allows you to grow your dreams and harvest them whenever you want. And most of all, the two of you living together become like a venerable oak tree, planting your roots deep into the ground that sustain you year after year, while reaching towards the sky and growing branches that sprout leaves to gather the sun’s rays, bringing you inner warmth and happiness. This tree that the two of you are, I call your Discovery Tree of Love. It represents your partnership in life. It is a symbol of many concepts that are vital to your relationship. 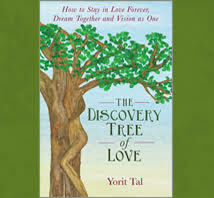 I say Discovery Tree of Love because you must discover yourselves and consciously know and decide how you want to live. As you discover yourselves, you will peel away the problems in your relationship like tree bark peels away so naturally when it grows. This allows you to plant the tree in healthy soil, letting strong roots grow to produce a sturdy trunk that leads you to a beautiful, healthy life. Over time, you and your partner will keep enriching your lives and growing new branches until they, too, become strong and sturdy. The chapters of this book are organized around these branches. As you go through them one by one, I will show you how to make each branch sturdier and more resilient, so that by the end of the book, you will have reinforced your entire Tree of Love, making it healthy and full of love. The organization of the chapters is not intended to suggest a sequence, as if understanding comes first, then communication, then respect, and so on. 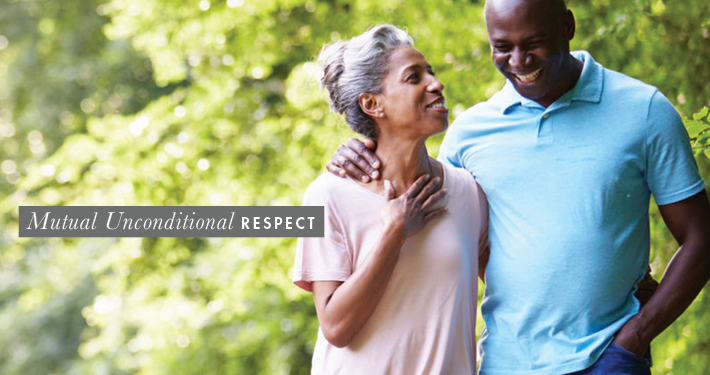 All seven qualities are critical to build a strong relationship. If you follow my recommendations to strengthen your branches, everything your Tree of Love produces will turn out to be sturdy and long-lasting. A healthy Tree of Love in your partnership will protect and shelter the children you produce. It will inspire your dreams and provide the sense of having a peaceful, secure, and joyful relationship. Most of all, it will protect the two of you into your old age, allowing you to stand firm and tall in the forest of your love and accomplishments. I am not a therapist, certified life coach, or counselor. I am “just” an astonishingly happy woman who has been married to the same man for more than 36 years—and together, over these decades, we have built a wonderful life, family, home, and retreat center together. I am able to write this book mostly out of my personal experience with my partner, but also using my decades of reading and reflection on what it means to be a couple. Doron and I have developed a very clear philosophy about our marriage, our partnership, and our commitment to each other and I want to share it with other couples. Our philosophy is embedded in the Tree of Love I just told you about, which I will detail through the chapters of this book. Doron and I are both from Israel. I was born in a very loving, caring family, though my parents had suffered horribly in concentration camps under the Nazi regime. My parents never discussed the Holocaust with their children, as they wanted to avoid negativity and bitterness, although they will never forget the horror of the Nazi era. I grew up in a house close to the beach. After waking up, my morning routine included taking a swim in the sea at 6:30 a.m., collecting fresh seaweed, washing it in our kitchen, and eating it for breakfast. Much of my early life was focused around the beach. I met my husband more than 36 years ago. I was in Tel Aviv and wanted to attend an Elton John concert in Jerusalem. A friend arranged for me to get a car ride with some guy named Doron. We fell in love almost immediately, and within three months, we got married. Two months later, I was pregnant with our daughter. In our decades together, Doron and I have co-created a family, an incredible home, and a deep love and partnership with each other. Today, we own a beautiful, large ranch high on a bluff overlooking Topanga Canyon, in the Santa Monica Mountains. Our property, Oak Creek Ranch (OCR), is a piece of paradise on earth, dotted with hundreds of majestic oak trees. There are little creeks running through the valleys, whose quiet gurgling calms the mind. Clean, fresh air and the smell of the Pacific Ocean a few miles away pervade our surroundings. For many years, Doron and I dreamed of having a place exactly like this on which to live, to grow grape vines, to build my art studio, but also to share our space with others for retreats and workshops and creating a community. We maintained this vision as our shared goal and we worked hard to make it happen. After years of asking the universe, we received our dream place. I am writing this book because I am confident our journey through our lives can prove to be inspiring and fruitful for other couples. 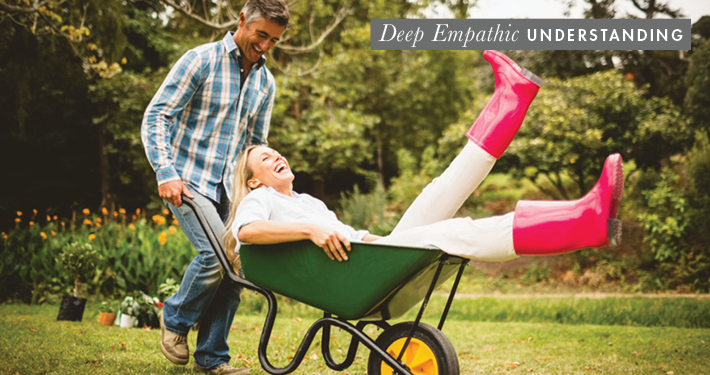 I spent many years thinking about what makes couples happy, what holds them together, and how they can co-create an amazing life for themselves and their families. I have read other books on the topic and taken a few workshops, but most of the ideas I offer come out of my own personal experiences. I have also advised some couples who have asked Doron and me what powers the strength of our love and how we have managed to be together with so much happiness and harmony, without fights, and achieve so much in our lives in a short time. I am guessing that you are one partner in a couple who discovered this book and is reading it first. Ideally, I wrote this book for both you and your mate. If you are the “pioneer” in your relationship, the one who does the trail blazing in self-improvement and self-help, I suggest you continue reading it on your own. Once you are done, invite your partner to share it with you, requesting that he or she also reads it and works on the exercises jointly with you. Each chapter has an exercise called “Visioning as One,” most of which are best done when you work on them together. The exercises can be done by just one of you, if that’s what happens, but the point of the book is that couples can achieve their goals more effectively and with greater happiness if they work together. not out of obligation because that person is your partner. This may not sound at first like a game changer. You might be thinking, “Of course, we do that already.” But I want to be sure you understand this principle fully. Most couples do not live by it. They may have sworn to a statement like it when they got married, or said it to each other when they made a commitment to live together, but it often gets lost in the day-to-day humdrum of life. 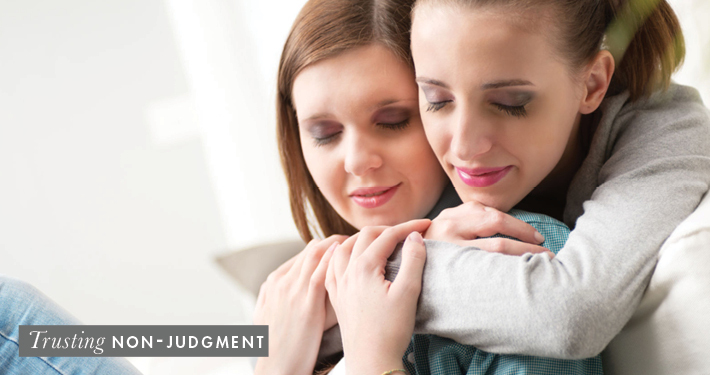 This principle is a powerful reminder of why you were brought together in love. If you always enter situations consciously holding in your mind that you are acting to enhance your love, you will find yourselves in a whole new energetic field. This principle fuels your desire to do things for each other. 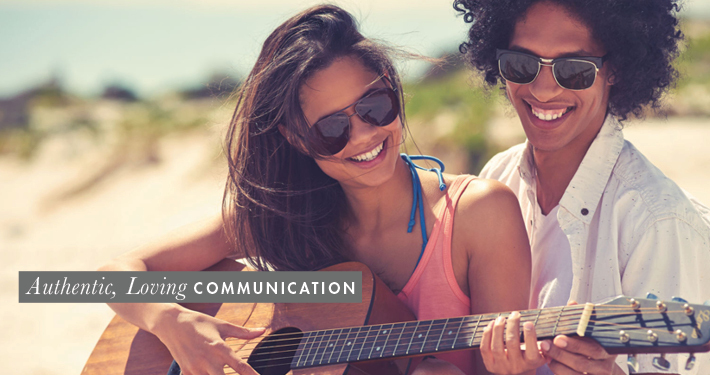 It breaks down the barriers in communication that couples build up over the years. Holding this thought in your mind could be enough to stop you from fighting, yelling, or arguing the next time you feel angry at each other. Now say it again with your eyes closed while visualizing your partner. See his or her face smiling at you. Feel the touch of his or her hand on yours. Sense the first kiss on your lips you gave each other. Can you feel the difference in how you envision this person whom you love?